Bright sunny days are all over the book (you can look at all the references to how bright it is outside throughout much of the book). I don’t think it is irrelevant, but I would not believe it if that was all. 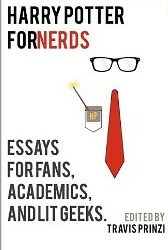 Mostly, it is the Apollo references that stack up in favor of this book being the “sun” book. Gilderoy Lockhart’s name and appearance. He is a stunningly handsome god, and so is Lockhart. Apollo has long golden locks of hair and blue eyes. I would argue that Lockhart is a false Apollo. Apollo is known for healing, and Lockhart only hurts when he “heals” Harry’s arm. Apollo is a god that knows the future (being the operative deity of the Delphic oracle) but Lockhart’s one talent is instead erasing the past. 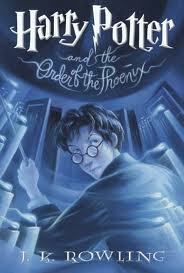 Harry is the “True” Apollo, though, as he shows through his many actions at the end of the book, especially. Rooster crowing (announcing the rising sun) is one of the only deadly things to a basilisk. 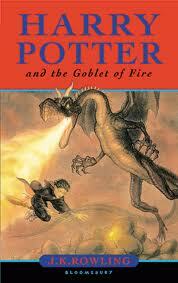 Harry is another thing that seems to be deadly to the basilisk. He slays the serpent. One of Apollos’s titles is “Apollo Serpent-Slayer” because he kills the mighty Python. 4. Ginny’s name means “virgin,” [ed., actually it is a nickname for ‘Ginevra’ and not ‘Virginia’] you have an innocent virginal girl that is possessed by what amounts to the spirit of a python. This is reminiscent of Acts 16’s python spirit-possessed girl. Virgins serving in the Delphic oracular service would be possessed by the spirit of Apollo to speak of the future. Apollo is identified as both serpent slayer and kind of as the serpent-spirit oracular deity. 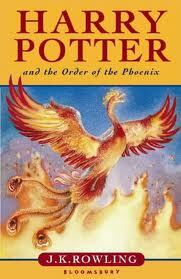 Moreover, you have a symbol of the setting and rising sun, the phoenix, as the Christ symbol at the end of the sequence which carries all of them back up to Hogwarts. The moon permeates this book and drives the story arcs forward. The story revolves around the question of correctly identifying the one who broke the promise with regards to the Fidelius Charm. In Dante’s Paradiso, the circle of the moon is for those who broke their vows, even if they could still be admitted to heaven. The moon is a low-hanging fruit for this book. 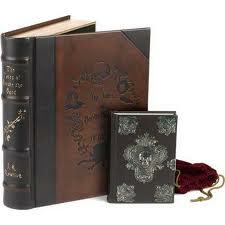 The central book where the Dark Lord is incarnated. It is fitting that Saturn’s element, Lead, would be governing this book, which is the beginning of the proper alchemical process of 5, 6, and 7 and the end of the reverse alchemy of books 1, 2, and 3. Saturn has rings… and the 4th book is the center of the series with the others as rings around it. Dysfunctional father-son relationships are at the center of the book. (a) Barty Crouch and Barty Crouch Jr., Father is harsh towards his son and the son eventually kills the father, as enabled by the mother. This mirrors Gaea’s role in having Cronos kill Uranus in that myth, which was punishment for Uranus’s cruelty to her and the children she bore. (b) We learn about Voldemort killing his father at least partly because of how he treated his mother Merope. This book has Trelawney predicting Harry’s death and attributing it to the baleful influence of Saturn, even though she gets his birthday wrong (he was born in July, under Mars, not December, under Saturn). 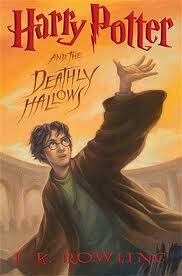 Nevertheless, the confluence of Mars and Saturn would still lead him to a sudden death, according to Trelawney. House-Elves’ plight is a concern of Hermione, and Saturn is the patron of “liberation” which is why Saturnalia (which happens around the same time as the Yule Ball, incidentally) involved slaves and masters switching places with each other in a ritual reversal of the social order. 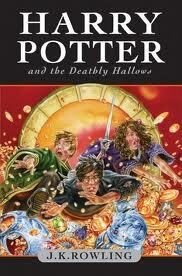 The story begins in Voldermort’s murdered father’s house. The climax occurs in a graveyard outside the house (Saturn is the patron of Death, and gloomy, cold, sad, depressing things in general). Of course, Cedric dies, the first death that Harry ever witnessed fully consciously, signaling a serious shift in the tone of the series. One important part of the Saturn/Cronos myth is that, due to a prophecy, he eats his children to prevent being overthrown by one of them. Eventually, when Zeus is born, Rhea (Cronos’s wife) gives him the Omphalos stone swaddled in infant cloths to swallow instead and hides Zeus with a goat named Amalthea to be secretly kept alive. Once Zeus grows up, he ingratiates himself to Cronos and becomes a cup-bearer for him (a cup-bearer, one might say that he brings a [Triwizard] cup straight to Cronos). He gives Cronos a wine and mustard mix that acts as an emetic, causing Cronos to throw up in reverse order the stone, and then the kids he swallowed. Zeus then works with them to overthrow Cronos. This mirrors the Priori Incantatem effect of the dual cores linking, where first a ghostly hand (inanimate object), and then Cedric, the old gardener, Bertha Jorkins, Lily, and James are produced in reverse order that they were “swallowed” by Voldemort’s wand. They then distract Voldemort long enough for Harry to get away with Cedric’s body. Voldemort uses a yew wand, and Yew is a tree associated with graveyards. It is poisonous and symbolically is closely associated with death. Holly is the wood of Harry’s on the other hand is associated with lightning and the god Thor (Zeus) because it would be planted to protect people from lightning strikes. This shows how Harry-Voldemort connection is a kind of Cronos/Jupiter connection, Harry with his lightning scar and holly wand, and Voldemort with his yew wand and name meaning “flight of/from death”. Cronos’s downfall was ultimately that he was so scared of being overthrown/dying that his children all rose in unison against him because of his unjust deeds. 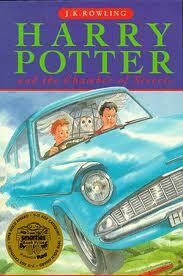 Harry has a very Mercurial temperament in this book. He cannot control his emotions at all and is very apt to get angry at the slightest provocation. Dudley takes up boxing, which is mentioned a few times. Mercury is the patron of boxers. Percy Weasley, now shown as a traitor to his family, sends his owl Hermes to deliver a message to Ron to disassociate from Harry. Mercury is the god of scholarship and education. This book is all about OWLs and education policies. The false Mercury of the book, Dolores Umbridge, is not teaching anything at all. This leads Hermione Granger (Ms. Hermes/Hg herself!) to suggest that they form the DA, which is wildly successful at teaching defensive magic. Mercury is the god of language and speech, and Harry does not know what to say when he gets up to give his speech before the DA starts, but when he speaks, it is enrapturing to the crowd. He is given words to say. Getting messages in and out of the school plays a large role. Umbridge, False Mercury, tries to stop and screen those messages and the floo network communication. It is actually a very important pivotal part of the story. Simply failing to get a message to Sirius, and receiving the “messages” of Voldemort in Harry’s dreams are hugely important to the story. When Harry tells Dumbledore about Arthur Weasley being attacked, Dumbledore takes hold of “fragile silver instruments” and taps one with his wand, making smoke rise in the form of a serpent, which then divides in two, coiling around each other, and Dumbledore says, “But in essence divided?”. The image presented is reminiscent of Hermes’ Kerykeion (the symbol of doctors, with the winged staff with two snakes coiled around it). Also, the image is described in a way that makes you think of how Mercury moves on flat surfaces, quickly combining and splitting and recombining. It is not called “quicksilver” for nothing! Mercury is the god that shepherd souls to the afterlife. He is the god of doorways/boundaries and crossroads. Sirius going through the archway into death is perhaps the most obvious part of this, but even afterward, Harry speaks to Sir Nicolas about ghosts and why Sirius has not come back, and it is explained that the dead have “gone on”. This is the purview of Mercury. Venus Felix is a title for Venus. Felix Felicis is an important plot element. Lady luck does not disappoint. Venus is the goddess of love, and this book is full of false and true love. Love potions by Voldemort’s mother and used on Ron. 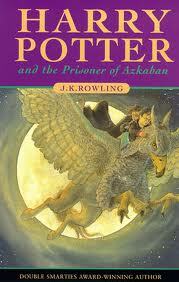 Ron’s relationship with Lavender and it culminates in Harry and Ginny’s relationship. Aphrodite/Venus is associated strongly with water, and this book, being the albedo of the series, is full of water everywhere. Rainy days, potion class, and eventually the mostly flooded cave where Dumbledore drinks the horrible potion while surrounded by an inferi lake. Venus’s metal is copper, as well, and even the boat that they use to cross the inferi lake is described as a copper boat. Rufus Scrimgeour says that Harry “wear[s] that scar like a crown…” which is a pregnant image for Zeus, the one that fancies himself a King with his lightning bolt scar! It turns out that Harry was being protected throughout the book by Aberforth, well outfitted for the role with his problematic relationship with goats and his goat patronus. This reminds us of Zeus being raised by Amalthea, the She-Goat, to protect him from his father Cronos. The “lightning struck tower” of the end of Half-Blood Prince is revealed at the end of Deathly Hallows to be planned out by Dumbledore from the start in this book. 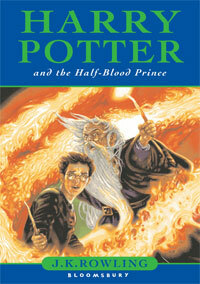 Harry shows himself the true Jupiter, a wise ruler, not because of his strength, but because of his love. This is a play on the pagan Zeus. Harry spends the whole battle of Hogwarts using shield spells, which reminds us of Homer’s Zeus, the aegis-bearer and lays down his life, thereby defeating Voldemort and showing himself to be the “master of death,” a descendent of the Peverell family, a sort of Wizard royalty, even. Even in Snape’s memories we see that Dumbledore is a sort of Zeus figure, who appears on the hill top to hear Snape’s concern about Lily before he switches sides. The scene made Harry “think of lightning”. When Voldemort, the ultimate False Zeus, killed James Potter, “it made the banisters glare like lightning rods”. When Harry gets the sword from the Forest of Dean pond, in the wonderful Arthurian moment, he begins to take the mantle of leadership/kingship. When Dobby dies, Harry sets his face like a flint. In fact, he “heard the authority in his own voice” while he dug the grave. From this point on he uses the Imperious Curse, and Cruciatus Curses, and it seems that they almost might be permissible, because he is acting as an agent of justice and judgment, like Jupiter in those moments. Harry arrives at Hogwarts eventually and this sets off an apocalyptic war, like a Titanomachy, with the giants and centaurs even joining in. He basically is in charge of the strategy of defending Hogwarts in Dumbledore’s absence. He is named interim Minister of Magic after the battle finishes, to restore order, like Zeus after the Titanomachy. I hope that this proposal stirs up some thoughts and that people take this idea and flesh it out and tweak it as necessary. It would also be great if there was some alchemical justification or logic, though I do not believe it is necessary to establish the veracity of the above. 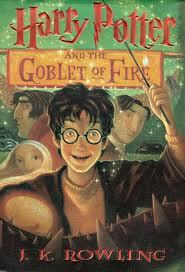 I am hopeful that I have the books right, but I have been dwelling on Goblet and Hallows. Part of the reason for my struggle is the presence of the imagery on the Rowling-illustrated Fountain of Fair Fortune in The Tales of Beedle the Bard. The top of the fountain has the symbol for Mars, then Platinum (which is symbolically Moon + Sun), then it shows Tin, then Mercury (which is Venus with little horns), then Saturn. The only consolation I can take is that 1,2+3,7,5+6,4 is not a totally unprecedented order given the Ring Composition of the series. I would feel much better, though, if it was simply that all the alchemical symbols were simply in the order of the books. Also, the seventh book has a lot of death and the fourth book father/son issues can be as easily explained as a “Jupiter” book as a “Saturn” book. The others do not have this sort of flexibility to my mind, being too neatly situated for their particular planetary influences. 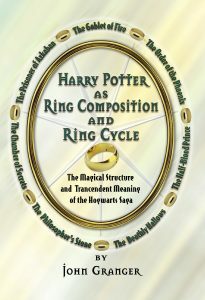 In any case, through a preponderance of the evidence, I think it very likely that Rowling intentionally put the books together this way (with reservations about how Jupiter + Saturn line up) and that there is one more piece of the wonderful literary puzzle that needs to be accounted for in the Harry Potter series. One item to note here is that Dumbledore is described as “a very odd watch. It had twelve hands but no numbers; instead, little planets were moving around the edge.” I would assume that there were 7 planets, based on the medieval and alchemical model. This is significant because it’s mentioned at Dumbledore’s first appearance and hardly referred to again. 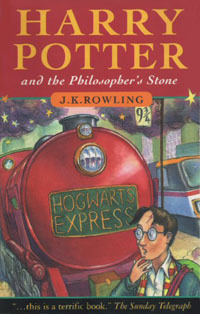 However, it’s cited in the “Life and Times of Albus Dumbledore” on Pottermore (https://www.pottermore.com/features/the-life-and-times-of-albus-dumbledore) along with his other great accomplishments. I believe this is a hat-tip from JKR to the very thing you’ve mentioned here–the planets are a key to the books’ structures. 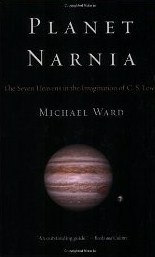 Namely: the astrological symbolism of the Seven Planets PLUS the signifance of the 12 hours orient the reader to find the clues hiding in plain sight. “Horcrux” being a neologism to denote “the hour is the crux” or that, by uncovering the way that she’s oriented the book’s structure around the face of a clock (in the shape of a ring), one can find that she’s drawn the Deathly Hallows symbol through the correspondences and echoes across the books. 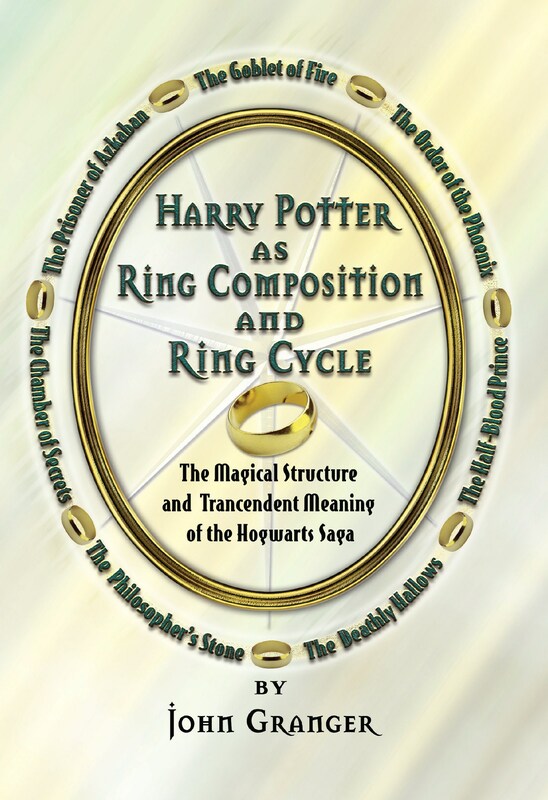 1,4,7 forming the crux (or elder wand), 2,4,6 forming the triangle (or invisibility cloak) and the ring/circle (or resurrection stone) is drawn out via the orientation of the books around the face of a clock.